Details on the hiking trip to Caleb's Peak on April 23rd, 2011. This is fun. Type in a search query on Google to get it's suggestions based on trends. I was blown away when I saw this post on my Google Buzz. 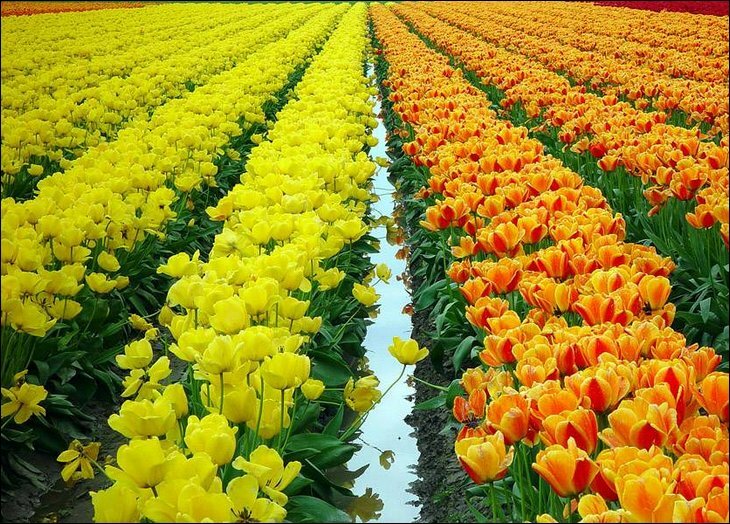 Beautifully organized tulip farms. Just recently, I went through one of the radon mitigation class with Curt Drew from National Radon Defense company. A couple being robbed by a escaped prisoner in the bed room, lol funny joke from a forwarded email. List of popular pick up lines by guys and rejections by gals. Pretty funny. Videos of basement sump pump reviews by Basement Systems owner Larry Janesky. Mt. Monadnock is the most climed mountain in North American. Water conservation the old fashion way. I save 2 litter water with every flush.